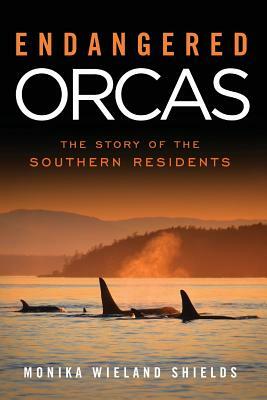 Orca Watcher: Who's Looking At Who? With the weather staying nice I had no reason not to go down and walk my new favorite loop near the red-tailed hawk pair. I'm beginning to wonder if these hawks aren't watching me as much as I watch them, as Ruth (RTH2) seems especially curious and always circles above me a few times every time I'm there. I'm no longer sure if I find her or she finds me! Perhaps I'm anthropomorphizing a bit, but taking a closer look at this photo confirms I'm not the only one doing the observing. Her head is turned down and her eye is looking right at me! Click on the photo to see a larger version, which also gives you a better look at those gorgeous tail feathers. Also, a brief update on the orcas. All three Southern Resident pods have been seen in the area in February, an unusual time of year for them to be around. Not enough salmon where they usually are in the winter, or more salmon here now? It sounds a recent local salmon fishing derby was a big success, so maybe the whales around to take advantage of those fish too. Two new calves have been seen - designated J44 and L112 - but as of yet the mothers are not confirmed. Also, as was feared late last fall, it looks like male L57 is not with them at this time. To see some amazing aerial video footage, check out this clip of L-Pod from the King5 News Helicopter this afternoon down in Puget Sound. i am so jealous. 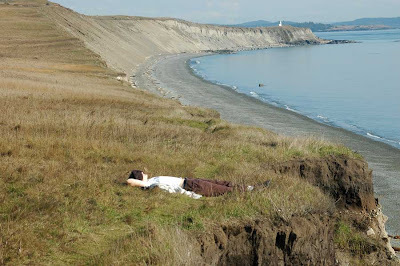 i would like to be out at san juan county park lying on the bluff... in the sun and listening for blows. or better yet, in my kayak. but yes, appreciate it. and come june, so will i! Beautiful aerial photo. Her markings are especially rich. I envy your ocean and warmth. We had some nice sunshine yesterday, but it was cold! If only our soft cliffs still looked like that...the base has been covered in concrete for over a century and we no longer have the repeated slumping and associated revegetation habitats...continue takin' it eeaasyyyy. Julie - Summer's just around the corner! Vickie - The warmth is gone as of today. I guess that was just a preview of spring! Dave - I wonder if concrete might be in the future of these bluffs, too. They're eroding pretty fast and there's a road above them that could be at risk. They sure are beautiful though! 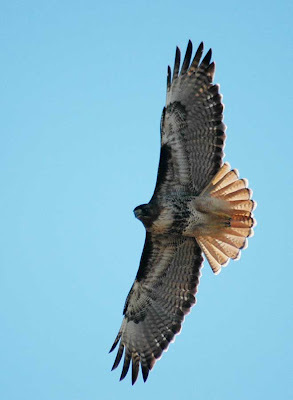 Beautiful photo of the hawk... She is gorgeous! Sometimes we take things for granted, but we should slow down and take in whats around us and appreciate it more often. You definitely live in a beautiful place!